Bangladesh has been elected as the president of Asia-Pacific Information Superhighway (APIS) of United Nations Economic and Social Commission for Asia and the Pacific (ESCAP) for next one year. Director General of Information and Communication Technology Department Banamali Bhowmick will act as the president on behalf of the country, a press release said here today. The election was held at the conference of Strengthening Regional Information and Communication Technology Connectivity through the Asia-Pacific Information Superhighway (AIPS) in China on August 29-30. China and Philippine elected as vice-presidents. 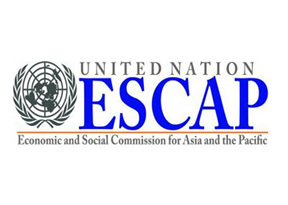 A total of 16 countries including China, Korea and Vietnam and 49 representatives of noted international organisations, members of ESCAP working and steering group and ESCAP international and regional partners took part the meeting. Banamali Bhowmick represented the Bangladesh at the meeting and said it is the great honour of Bangladesh and the country will play vital role to eliminate the discrimination of using the internet broadband in the Asia-Pacific countries.